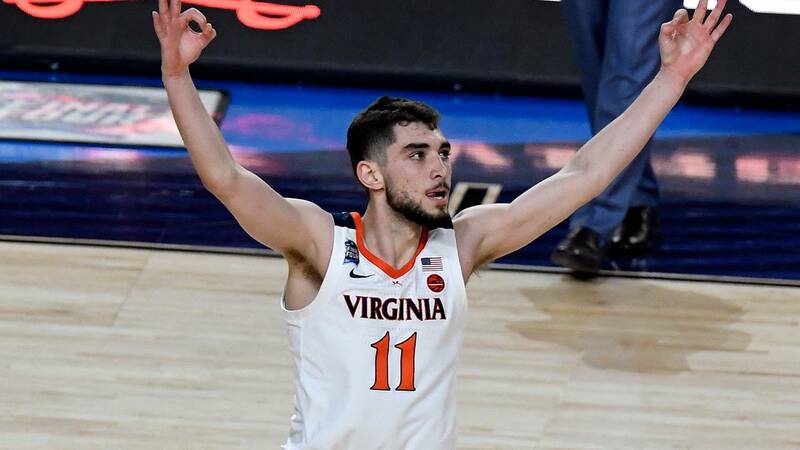 CHARLOTTESVILLE, Va. - After winning a National Championship, Virginia's Ty Jerome announced Monday his collegiate basketball career is over. The junior guard announced on Instagram Monday that he is leaving the University of Virginia to declare for the 2019 NBA Draft and sign with an agent. The last three years at Virginia have been everything I could have dreamed of in a college experience. When Coach Bennett recruited me he said he would never stop challenging me to improve, on and off the court - and he meant it. He did that every single day, and he made me a better basketball player and better man. I am eternally grateful to him and the entire coaching staff, and fans. I also want to give a special thank you to our strength coach, coach Curtis and our athletic trainer, Ethan Saliba; the best in the business! I came to Virginia to win a national championship and to be able to do that with my brothers is a dream come true. And to the best fans in college basketball - we would not have done it without you. Last but certainly not least, I want to thank my mom, dad, brother and entire family. The time, effort and love they have given me is truly a gift, and I would not have had this opportunity without them. I have had a ball in my hand basically since the day I was born. My dream has always been to play in the NBA. Therefore, after speaking with my family and coaches and giving it a lot of thought, I know it’s the right time to announce that I will be entering the NBA draft and signing with an agent. I will forever be a wahoo🧡 UVA, from the bottom of my heart, THANK YOU! Jerome averaged 13.6 points per game for the Cavaliers this season.